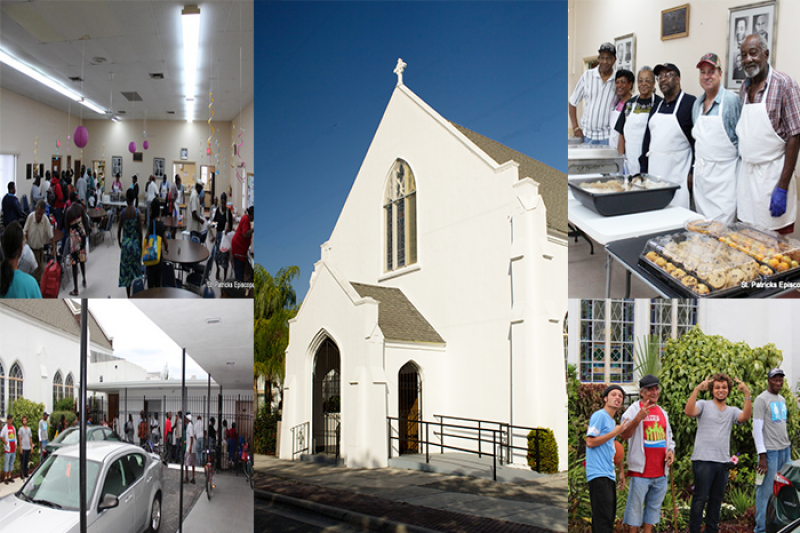 St. Patrick's Episcopal Church provides as a ministry a weekly Soup Kitchen aptly named “Audrey’s Soup Kitchen”. It was established in 1986 and and was started by church member Mrs. Audrey Stevens, now deceased. The Soup Kitchen provides a balanced, hot, homemade, complete dinner meal to those in need, primarily residing in the area surrounding the church. The Soup Kitchen also delivers the same meals to an area of the city that is frequented by the homeless. The Soup Kitchen is staffed by a professional chef and faithful volunteers from our parish who shop for, prepare and serve the meals. (1) Expand the size of the kitchen and include some remodeling. (2) Furnish the kitchen with commercial accessories and appliances to accomodate the burgeoning and increasing number of clients that we are serving (a walk- in refrigerator and Subzero freezer; a three-section commercial sink). (3) Purchase a 17-seater passenger bus such as a Ford E450 which has individual seat belts and a wheelchair lift which can accomodate senior citizens.